Running a business is full of traps. Every entrepreneur's main goal is to lower his or her risk. However, there are many mistakes you can make if you don't get a patent - and even mistakes you can make if you do get a patent. Every idea can be copied, even yours. It doesn't matter who came up with the idea. The only thing that matters is who patented the idea first. The market is full of stolen ideas. If someone copies your idea but doesn't get a patent for it, you may not consider yourself to be successful as there is a competitor who is completing the same business ideas as you. You'll need to work extra hard to prove that your idea is better than your competitor's. But, if that same competitor copies your idea AND gets a patent for it? Then your risk profile will sky rocket. With a patent, others can easily block you out of an entire business market, force you to change the entire operating procedure for your business, and even change your entire business model to accommodate your competitor's new legal superiority. Avoid getting copied and blocked out of a market by securing your idea with a patent. There is a certain point in your business when your product is ready to expand, and you need funding to jump start your growth. Unfortunately, there is a huge amount of competition among startups to catch the attention of investors. It's not because your idea is bad, per se, but because there are millions of startups, all with valuable ideas. From an investor's point of view, he or she wants to minimize their investment risk, and maximize their monetary gains. Thus, they are looking for companies that are "investable." What does this made-up word mean? An "investable" company has a proven track record of success and their innovative idea has documented proof that it's working. Proof can come in the form of patent, which proves that the idea is unique. A patent is also a business asset that can be sold, franchised or transferred, so even if your company leaves the game, the patent can be sold anyway, thereby minimizing the loss for the investors. Get more funding with a patent and stand out from the crowd of startups with your proven unique idea. Getting a patent is complicated - or so "they" say. We don't think so. Other legal companies tell you that a patent is seriously complicated business in order to justify their high hourly fees. Oh yes, they work on an hourly based fee and it does not come cheap. In current times, getting a patent is mainly for big companies, as they are the only ones who can pay the high legal fees. However, it shouldn't be like this. Patents were established for standalone entrepreneurs and innovators to protect and transfer their unique ideas to others. We recommend that you get all available knowledge on patents before you make a decision. Once you do so, only work with a fixed-priced service for your patent, so you can fully control the costs. 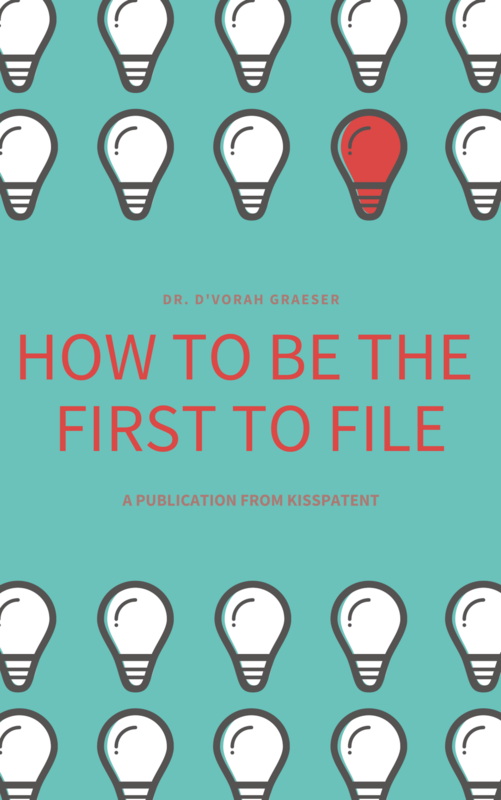 At KISSPatent, we help startups realize their dreams and fulfill their potential. We help them secure their ideas with patents and kick start their growth by utilizing the power of intellectual property. We work on fixed-priced packages, making us much more affordable than any other legal companies. We also support entrepreneurs with our expertise and share all of our knowledge upfront.